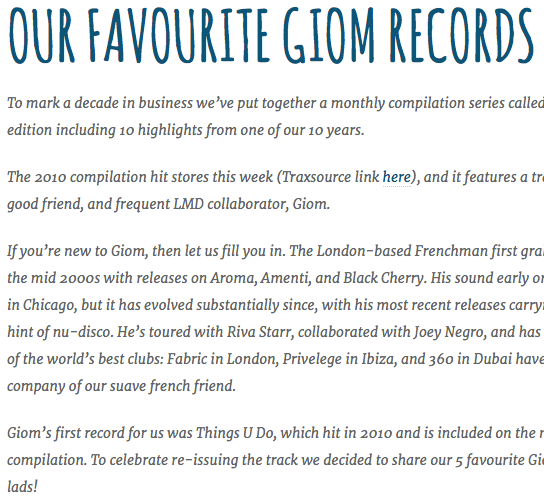 It is an honour that one of my all-time favourite house label, Lost My Dog Records, has written a very nice article about their favourite tracks from me. In case you don’t know, LMD is stopping after the summer. So it is truly an honour to have been part of their adventure of great music and great people. Luckily for us they’re going away with a bang, releasing my mate Pete Dafeet‘s album during the summer and leaving us with over a decade of timeless electronic music for us to remember and enjoy.